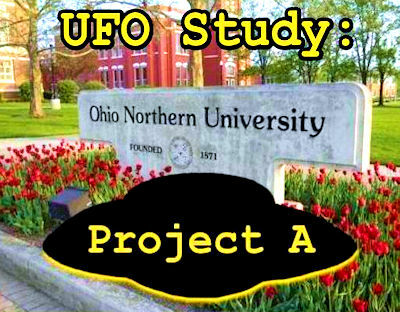 Sept. 27 (AP)—An unknown object hurtled through the skies over Denison Tex., in 1878, and someone called it a “flying saucer.” So flying objects are nothing new, says Dr. Warren Hickman, dean of Ohio Northern University and co-chairman of the school’s flying saucer project. But the school wants to examine each instance of reports of the saucers. “Ohio Northern is not going out to prove the flying saucer is something,” Dr. Hickman says. “We are going to examine the facts and let people know what we find. Persons reporting saucers will not be ridiculed and names will be withheld unless the observer consents to publicity. The university’s engineering, chemistry and physics departments will analyze unexplained ‘flying objects after 200 examples are available.